Bodynamic International is a Somatic Developmental Psychology teaching organization established in Denmark. It conducts training’s globally and has been doing so for over thirty years. The Bodynamic Institute was established in 1982 by Lisbeth Marcher and ten of her colleagues. The Bodynamic Analysis System was created in 1985. Bodynamic International has a core team of trainers who travel and offer training’s globally. The goal of the organization is to act as an umbrella organization while fostering the establishment of local grass roots Bodynamic Organizations in individual countries with the goal that they ultimately run autonomously offering Bodynamic instruction in their local languages. She has been teaching in foundation trainings since 1995 and has been a senior teacher in practitioner trainings since 2003. She has been teaching Bodynamic’s trainings in US, Canada, Russia, Belarus, Ukraine, Japan, Greece, Netherlands, Denmark and Brazil. She is the CEO of Bodynamic International since 2010. She is a member of EABP and she was a chairman in the EABP forum committee. She also has and still doing a variety of workshops and business consulting. From 1986-1992 she was working in war zones with children in crisis, mainly in Palestine, Lebanon and Israel. From 1994-1998 she was working as a consultant for the police in Denmark and Sweden for cases of young criminals. In the same period she was trainer for the teachers of AMU centers that upgrade education of unemployed workers. She was also one of the main teachers in a two-year program, teaching young adults how to be project leaders. In 1999 she was doing workshops in Seattle and Vancouver for police and fire departments for better handling communication during crisis. She has done conflict resolution and support in many crisis areas. 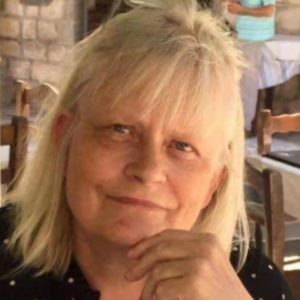 She has been a volunteer in different projects in Africa, South America, ex-Yugoslavia and Denmark. She is the co-author of the book “Resources in coping with shock” with Merete Holm Brantbjerg. She has attended many various conferences and she has made a presentation of Bodynamic’s trauma experience in European trauma conference in Edinburg, a presentation in EABP conference in Athens 2004, in the International Scientific Committee (for Psycho-Corporal Psychotherapy) Sao Paolo 2005 and in the conference for shock and trauma in Netherlands 2010. She also has done presentations in various college and universities in US, Greece, Canada and Ukraine. One of the senior teachers worldwide at all levels in Bodynamic International ApS. Is Bodynamic educational Therapist, Supervisor and can do Full Bodymaps. 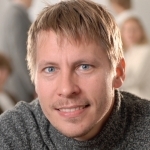 Member of the board and planning team in Bodynamic, webmaster of Bodynamic Denmark and coordinator of Danish training program. She is the founder of the Bodynamic System and of Bodynamic International in collaboration with various colleagues. She is the former director of the Bodynamic System, while now she is the international supervisor for all educational issues.Lisbeth Marcher is the former president of EABP. Since 2000 has been teaching at Bodynamic’s Foundation Training in Denmark (DK) and now also in Hong Kong and other places, and teaches in group processes practitioner in Denmark and elsewhere in the world. 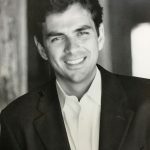 Michael Rupp is a licensed psychotherapist (Psychotherapeut HPG) working in private practice in Munich, Germany, since 2006. He is a Bodynamic educational therapist and supervisor. He is part of the international trainer team of Bodynamic (Foundation) and has been teaching in Germany, Brasil and Portugal. Before he has been working as a social pedagogue and therapist for many years, notably as facilitator for 2 pedagogic Healing Centers for children with developmental disturbances (eg. ADHS) and special needs. Additionally he has been trained in different humanistic and transpersonal approaches like Bioenergetics, Gestalt, Inner Child Work and Diamond Approach (Logos) with Faisal Muqqadam. He is a member of the dgk (Gesellschaft für Körperpsychotherapie) and EABP (European Association of Bodypsychotherapie). Inna believes in the power of contact in the therapeutic process and pays a lot of attention to balancing safety, challenge, risk and education. 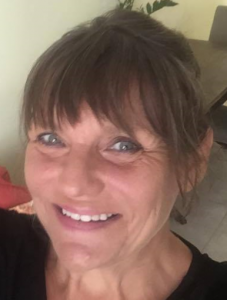 She loves connecting cognitive understanding and awareness with emotions and the body experience. For her it is a chance to recreate the primal balance of human beingness, a way to be here in the now and stay connected to something greater than oneself. In her practice she considers that development is a process which goes far beyond the walls of the therapy clinic and the time frames of the session. If it all comes together with a nice dose of humor and the company of a good friend – then anything can happen! 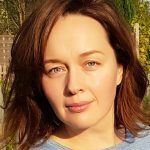 Inna is the coordinator of trainings in Ukraine, educational Therapist and Supervisor, can do Full Bodymaps and teaches in all levels of educations in Bodynamic. Inna has a Masters in Linguistics and Psychology. She is also a member of the EABP. 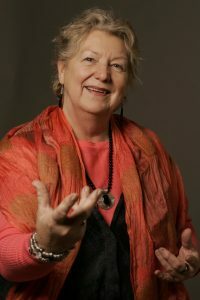 She has training in Gestalt Therapy, Process Oriented Work and Psychodrama. She’s been in clinical practice since year 2000. Oleh gets his energy from nature, archery, martial arts, travelling, reading, music, Ukrainian, Native Americans & First Nations cultures. He is interested in body-oriented psychotherapy, rehabilitation, military combat shock, PTSD, emotional intelligence, neurosciences and peak experience. 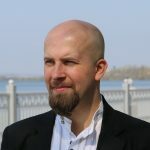 Oleh is a Ukrainian psychiatrist, psychotherapist & 2nd generation Medical doctor. He has a Group Analysis education, “Body culture” and “Thanatotherapy” by Vladimir Baskakov. He worked in a psychiatric hospital with neurotic, psychotic and borderline patients. Additional he finished education in EMDR and Art Therapy, also Leadership and professional skills in psychiatry course, directed by Professor Norman Sartorius. He obtained a Masters Degree in Psychiatry and has a MD in Management of organisations. Oleh is a Bodynamic international teacher in Foundation in ex. Poland, educational Therapist and Supervisor and part of Veteran project in Ukraine. Since 2013 he volunteered on Maidan working with soldiers, families of killed soldiers and other traumatized people. 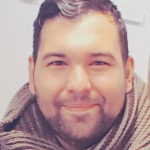 He currently has a private practice working with individual clients and couples who are challenged in relations, self worth, identity, existential issues and self actualization. He is member of EABP, EPA, sections “Telemental”, “Psychotherapy”, UUAP, Young Psychiatrists section in Ukrainian Psychiatric Association, co-founder of NGO Developmental Psychological Center “KORA” and co-founder of Ukrainian veterans NGO “EQUILIBRIUM”. 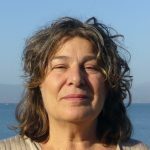 Kalliopi is a Bodynamic educational therapist, supervisor and teacher and a can do Full Bodymaps. She has studied and is certified in Counseling Skills, Personal Coaching Practitioner (PCP), NLP and Gold Counseling. She also has also studied in Analytical Cognitive therapy, Gestalt therapy, Hypnotherapy and has a Diploma in Systemic Thinking and Practice. Kalliopi has been working as an Integrative psychotherapist in a private practice since 2004. She is a member of PESOPS (Greek Association of Body Psychotherapy). James is a certified Bodynamic Therapist and Analyst and can do full Bodymaps. He was educated at U.C.L.A. and Northwestern University School of Law. He has a background as a lawyer in private practice for many years, which included mediating disputes as well as trial advocacy. James also studied philosophy and history which he uses in his therapy practice. He speaks Spanish, Italian, Greek, and enough Japanese to order sushi. James completed Bodynamic Foundation, Practitioner, Shock, and Rebirth trainings in Greece and Amsterdam from 2011-2016. In the Fall of 2018, James will begin his Masters of Social Work at the University of Southern California with a course towards licensure in California as a social worker and therapist. He is a member of the USABP. His office located in Santa Monica, California where he resides with his wife Evangelia and their four-year-old son George. H. Marcher gets his energy by using all his Bodynamic skills in his daily life, in his relationship with his family and friends. He is tremendously fond of doing yoga and spending time in the nature and playing football. Spirituality has a big place in Hadi’s life, as well as keeping on the desire to constantly rebuilding more knowledge around the different traditions from all over the world. He loves his work and the learning will never stop. 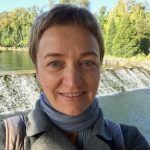 Kristina’s work has consisted of individual therapy for several years, making Basic Bodymaps – now Full Bodymaps, the diagnostic tool used in Bodynamic approach, assisting and co-teaching in different workshops and educational programs of Bodynamic (like masterclasses and the Foundation training). She was also a translator in the Bodynamic Shock and Trauma Training. 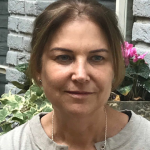 Kristina is coordinator of trainings and workshops in Holland and will be teaching at several of the modules and she develops and organizes her own training’s with different themes using Bodynamic principles in Rotterdam. At the same time she is a volunteer in the shelter home for women who experienced domestic violence. She started with an education in Pedagogy, later enrolling in psychology at the Erasmus University in Rotterdam. She has done many additional training’s in things like ‘Rebirthing’, Psychoanalysis and completed education as a gestalt therapist. She speaks English, Dutch, Lithuanian and Russian. A Clinical Psychologist (since 1992) trained in Bodynamic, Somatic Experiencing and other modalities of body oriented therapies. Adily Integrates, incorporates and applies knowledge of psychology and body in her therapy work, touch therapy and supervision. She has therapeutic experience in working with adults, children and parents. Adily is a Bodynamic educational Therapist and Supervisor and can do Full Bodymaps. Currently working in a private clinic in Jerusalem and is the organizer and teacher for Bodynamic Foundation training in Israel. Konstantinos Gonidakis graduated from pedagogical school of Crete, Greece. Since 1988 he has been working as a teacher in a primary school. He was an art photographer for 20 years and has been working for magazines and taking part in exhibitions. Since 2009 he has been working as a Hatha Yoga teacher and he is a licensed USHUI REIKI RYOHO teacher as well. 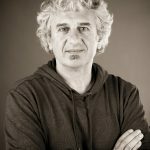 In the psychotherapy field, Konstantinos completed his studies in Body Psychotherapy attending Bodynamic International Greece, he has been trained in trauma therapy and PTSD, Reorienting birthing, as well as in the Full Bodymap. He has been trained in Hypnosis, in Gentle Bioenergetics, he has been taught the CRM system (The Comprehensive Resource Model) and he attended the Master training «Body posture and Character» with Alberto Torre. He has been working as a body psychotherapist individually and in groups as well.